From Amazon: It is a truth universally acknowledged that Jane Austen is one of our greatest writers. I will admit to having a strong Jane Austen bias, but I LOVED this book. It is filled with illustrations I know I would have poured over as a kid because I find myself doing so as an adult. 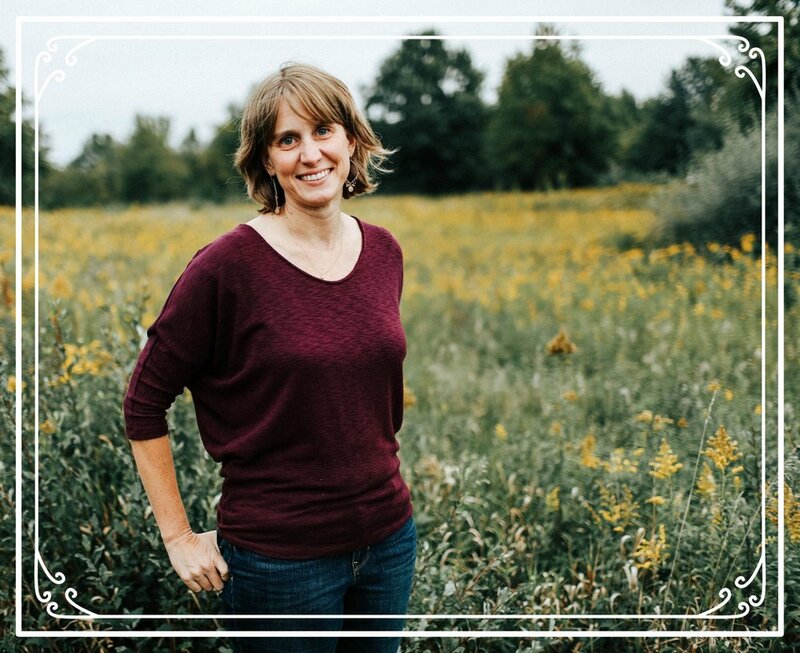 Jane’s story is told in an inspiring and very relatable way. This book is as beautiful to look at as the story is to read. From Amazon: In 1940, Hans and Margret Rey fled their Paris home as the German army advanced. 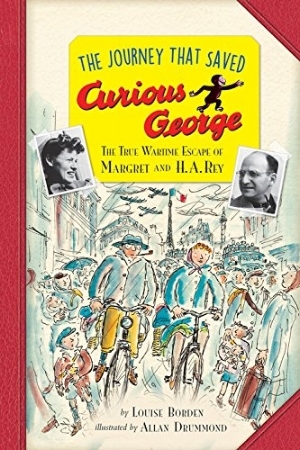 They began their harrowing journey on bicycles, pedaling to Southern France with children’s book manuscripts, including what would become the international sensation Curious George, among their few possessions. Louise Borden combed primary resources, including Hans Rey’s pocket diaries, to tell this dramatic true story. Her collection of archival materials introduce readers to the world of Hans and Margret Rey while Allan Drummond's dramatic and colorful artwork illustrates their wartime trek to a new home. I’m making a stretch here (maybe) at calling this a picture book with it’s length coming in close to 100 pages, but it is filled with pictures and it is a book, so there you go. Within it’s pages is an inspiring story about the authors of one of the most loved literary characters ever, Curious George. If we rule out length as a requirement, I need to make a mention of one of my favorite books that is similar in size and scope. Some Write! : the Story of E.B. White is another beautiful book that shares a beautiful story that I love to read and therefore share. I wrote about it once here, check it out! It was incredibly inspiring to me. From Amazon: Caldecott medalist Mordicai Gerstein captures the majestic redwoods of Yosemite in this little-known but important story from our nation's history. In 1903, President Theodore Roosevelt joined naturalist John Muir on a trip to Yosemite. Camping by themselves in the uncharted woods, the two men saw sights and held discussions that would ultimately lead to the establishment of our National Parks. A great book to read if you have plans to visit any of our country’s National Parks, and a great book to read if you don’t. The Camping Trip that Changed America tells the story of how we came to have National Parks in the first place. I am so thankful for this camping trip and for President Roosevelt for having the foresight to establish our amazing National Parks. What a gift shared through the pages of this excellent book. From Amazon: Louis Braille was just five years old when he lost his sight. He was a clever boy, determined to live like everyone else, and what he wanted more than anything was to be able to read. Louise Braille was amazing boy who changed the world. He gave the gift of books and reading to the blind and he did so as a young blind man himself. I love his story and I love how this book tells it. This book is a special one. I loved it! From Amazon: This is the story of Jane Addams, the first American woman to receive the Nobel Peace Prize, who transformed a poor neighborhood in Chicago by opening up her house as a community center. Another inspiring life that changed the world. This book shares the story of Jane Adams and her work with the poor in Chicago. It is well worth the read. We have a rich heritage of amazing lives lived for others in our country and Jane’s is one of them. From Amazon: Amy Guglielmo, Jacqueline Tourville, and Brigette Barrager team up to tell the joyful and unique story of the trailblazing Disney artist Mary Blair. I did not know who Mary Blair was before I read this book, but I knew her work well. You probably do too. She was a woman who influenced one of the most influential company’s of our time, Disney. The pictures and vibrant colors alone make this book worth picking up. It is beautiful and bright and tells Mary’s story through pictures as much as words. 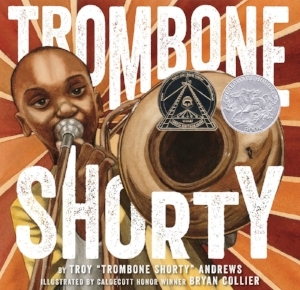 From Amazon: Hailing from the Tremé neighborhood in New Orleans, Troy “Trombone Shorty” Andrews got his nickname by wielding a trombone twice as long as he was high. A prodigy, he was leading his own band by age six, and today this Grammy-nominated artist headlines the legendary New Orleans Jazz Fest. Trombone Shorty is another book worth picking up simply because of the illustrations. And when you do, make sure you read the story too. A rags to riches story about the power of music and following your dreams. If you love it (and I think you will), there is a follow up book called The 5 O’Clock Band by the same author and musician you might want to pick up too. From Amazon: As a child in the late 1800s, Horace Pippin loved to draw: He loved the feel of the charcoal as it slid across the floor. He loved looking at something in the room and making it come alive again in front of him. He drew pictures for his sisters, his classmates, his co-workers. Even during W.W.I, Horace filled his notebooks with drawings from the trenches . . . until he was shot. Upon his return home, Horace couldn't lift his right arm, and couldn't make any art. Slowly, with lots of practice, he regained use of his arm, until once again, he was able to paint--and paint, and paint! Soon, people—including the famous painter N. C. Wyeth—started noticing Horace's art, and before long, his paintings were displayed in galleries and museums across the country. Another beautifully illustrated book you will want to read (am I getting redundant yet?)! I love books that contain stories about following dreams and doing what you were created to do. Against so many odds, that is what Horace Pippin did. I love this story of an artist’s life and I love the illustrations used to tell it. From Amazon: You know the Super Soaker. It’s one of top twenty toys of all time. And it was invented entirely by accident. Trying to create a new cooling system for rockets, impressive inventor Lonnie Johnson instead created the mechanics for the iconic toy. For all those inventors and engineers out there, this is a picture book for you. It is a story of perseverance and following your dreams and a fun look into how the Super Soaker was invented. From Amazon: Capturing an engineer’s creative vision and mind for detail, this fully illustrated picture book biography sheds light on how the American inventor George Ferris defied gravity and seemingly impossible odds to invent the world’s most iconic amusement park attraction, the Ferris wheel. Finally, the wonderful, against-all-odds story of how the Ferris Wheel was invented and another book you will want to add to your collection. Wonderful illustrations help share the story of Mr. Ferris and his Wheel; it is an excellent picture book and an excellent read. What are some of your favorite picture book biographies? Let’s keep the list going in the comments!